To create the right sound from your didgeridoo, you need to place your lips against the mouthpiece and ensure they are perfectly sealed, i.e. 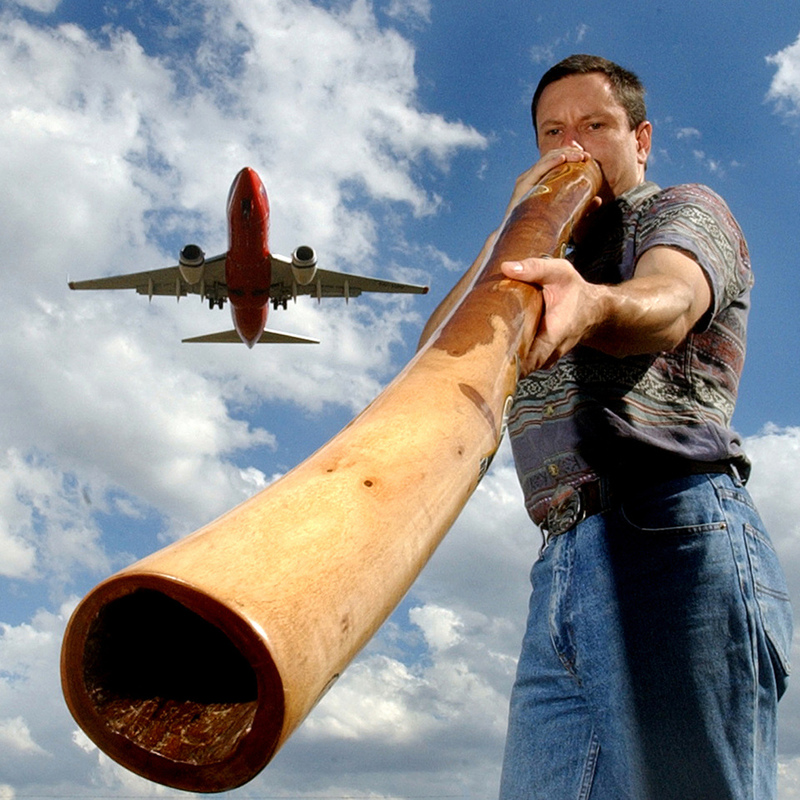 all air and sound that you make must go through the didgeridoo and only come out of the bottom end. Now with your throat blocked, puff your cheeks and force the air through your closed lips. When you can do this, try it on your didgeridoo. When you are able to get a note on the didgeridoo and take a breath in at the same time, you have the circular breathing method working for you. Now blow your didgeridoo and combine the two skills you have learnt: blowing and circular breathing to produce a continuous note. Once you have achieved mastery of these two skills, you are well on your way to becoming a proficient didgeridoo player, and remember that practice is the key to success!